If you have a limited budget, then you should consider manual security gates. Automatic security gates tend to be more costly since they require a power source. As such, you can expect a higher electricity bill. Aside from that, there are technological features that you must incorporate, making the price even more costly. In general, manual gates are a more affordable option. It is always a grand experience to be greeted by electronic gate systems, opening up to reveal the beautiful home behind them. One of the great things about automatic security gates is that they can be configured to open whenever a vehicle is detected by the sensors. When triggered, the sensors will prompt the gate to open, or you can install a button that will allow you to open the gate. This is the ideal option if you are more focused on the decorative appeal of the gate rather than its security features. 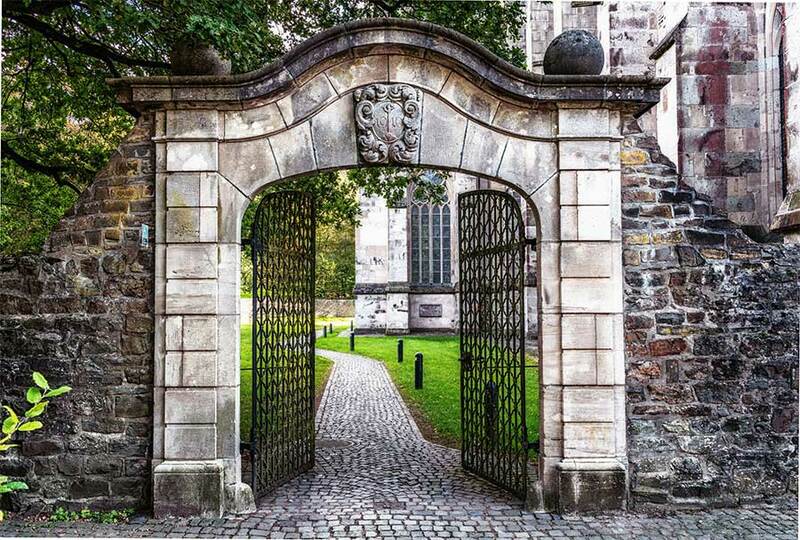 There’s just something impressive about having expansive gates that automatically open when guests are detected by the sensors, installed underground and out of sight. If you want to make an impressive impact on your guests, then automatic security gates are a sure way to go. At Aus-Secure, we offer a wide variety of security options, allowing you to get the most out of your chosen security gate. In some cases, you do not even have to invest in an automatic gate to benefit from such security options. Even with a manual gate, you will be able to limit access to your property, such as with a keypad access, which will only allow people with the access code to be able to open the gate. There is a sense of security that all types of gates offer, but installing a keypad access offers you a stronger assurance of security. On the other hand, automatic security gates offer a higher level of security as compared to manual gates, as once a burglar breaks the lock of a manual gate, the barrier between the outside world and your property will cease. Some people opt for automatic security gates so they can have better and more convenient control over who can enter their property. With an automatic security gate, you can have a sensor or alarm installed so that people in your house can be informed when a vehicle has approached the gate. On the other hand, there are more complex secure features that allow you to set up a video camera with your automatic security gate, allowing you to monitor the person approaching your gate without leaving your house. You can also have a manual alert system installed on your gate, so that when visitors push a button, they will alert your household of their presence. This is best paired with an intercom system, which allows the visitor to communicate with the residents of the house. With a controller, the person inside the house will be able to open the gate, an ideal security feature for larger estates where it can be inconvenient to physically go to the gate every time a visitor arrives. One of the most popular and secure options for an automatic security gate is keypad access. The homeowner can input a code which will allow them to open the gates, and can provide this code to frequent guests, making their visits more convenient. If you want to open the gates from inside, you’d simply have to enter the code in a controller, however there are systems that simply require a switch installed inside the house. In most cases, convenience is one of the reasons why people opt for electronic gates. Of course, with manual gates, you wouldn’t be able to enjoy the same benefits. While small garden gates can be opened easily, larger gates can prove more troublesome to operate. On the upside, automatic security gates offer the advantage of letting you give access to authorised people without physically approaching your gate, all the while still allowing you to maintain a high level of security for your property. However, you have to note that automatic gates need a constant power supply, which can be quite troublesome in cases where you leave your gate unlocked in the middle of a power outage. Manual gates are relatively easier to maintain, since all you have to do is ensure that yours is cleaned and properly coated at least twice a year, or more frequently depending on your location. On the other hand, you might be required to perform more complex routine maintenance on your automatic gate. Since automatic security gates have electronic components, it is important for you to have a professional over to check whether your gate is in good condition. 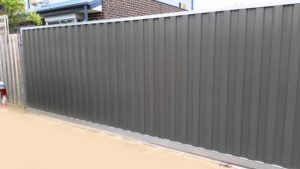 If you are still having trouble choosing the ideal type of gate for your budget and needs, Aus-Secure, one of the leading businesses in home security, can help. Our knowledgeable and friendly team will be happy to answer any questions or queries you may have. Contact us today and let Aus-Secure help you decide which security gate will provide you with the best value for your money!